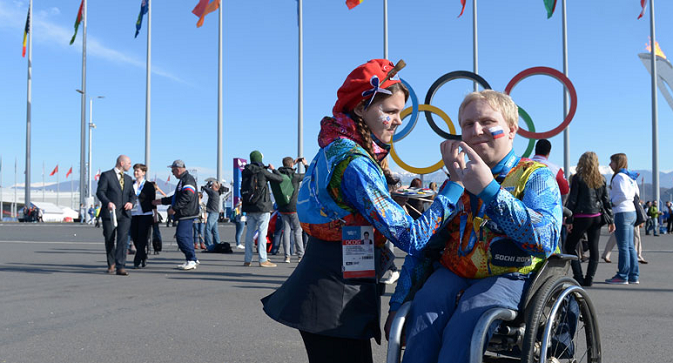 Sochi’s Paralympic Villages are now ready to welcome the athletes and members of national delegations. The International Paralympic Committee (IPC) declined the Russian Paralympic Committee (RPC) naming the country’s athletes, who have been mentioned in the infamous McLaren report, a statement from the RPC press service said on Jan. 12. According to the statement, the RPC earlier asked the World Anti-Doping Agency (WADA) to provide the names of the Russian Paralympians mentioned in the report of the agency’s Independent Commission in regard to doping abuse allegations. IPC Executive Director Xavier Gonzalez, however, said in response to the Russian inquiry that the global organization believed it was unfeasible at the moment to make public the names of the Russian Paralympians at the issue. On Aug. 7, the IPC decided to bar the whole Russian Paralympic team from taking part in the 2016 Summer Paralympics. The ruling came on the heels of a report delivered in July by the WADA Independent Commission, chaired by Canadian sports law professor Richard McLaren. The McLaren-led commission claimed in particular that a total of 35 doping samples were concealed by Russian Paralympic sports between 2012 and 2015. Besides collectively punishing the Russian national team by banning it from the Rio Games, the IPC also decided to suspend the RPC’s membership. The IPC later put forward a list of criteria needed for Russia to implement in order to regain its membership in the global organization and set up a special Taskforce group to monitor the implementation of the requirements in question. According to the Part Two of the McLaren report, delivered in London on Dec. 9, Russia’s six winners of 21 Paralympic medals were found to have had their urine samples tampered with at the 2014 Sochi Paralympics. However, no names were provided.